As funding for music programs in many schools continues to plummet, Keeping the Blues Alive is Joe Bonamassa’s non-profit foundation that supports programs from pre-K through college students through helping over 21,000 students by providing everything from instruments and supplies to college scholarships. 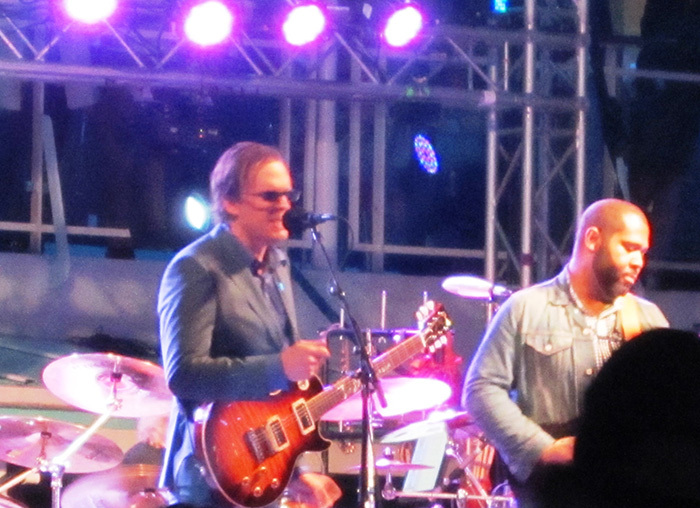 This is the maiden voyage of the Keeping the Blues Alive at Sea consisting of four nights of some of the best blues performers that Joe Bonamassa could assemble on Norwegian Cruise Lines’ Norwegian Pearl. 2,000+ fans of the blues all on one boat enjoying performances from 18 different artists while sailing from Miami to Key West and the Bahamas. This is an effort to raise funds after all and Norwegian Cruise lines is donating $25,000 from this trip to the foundation. 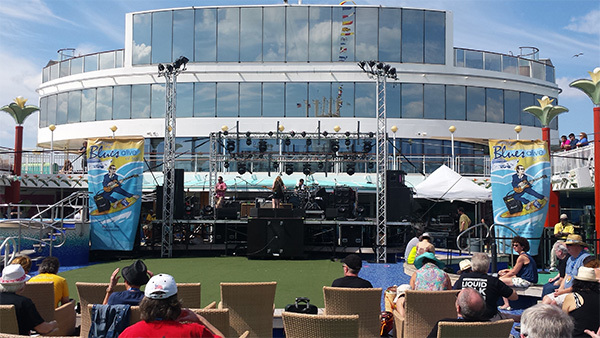 Spent the next couple of hours wandering around the ship getting acquainted with the lay out and missed most of Robert Randolph and The Family Band. Portion of the show that was caught though was the typical high energy pedal steel guitar riot that is his trademark. 5:30PM found me in the Atrium of the boat to catch Simo as we ate dinner at O’Sheehan’s Bar and Grill. I honestly did not know a single track played by this band. However, this is hard rocking trio that delivers some classic psychedelic blues rock in vein of Cream and Hendrix. While they did tend to wander off on long extended guitar solos, there were plenty of tempo and rhythm changes with heavy power chord riffs and hot licks to keep you very interested in what they are putting down. Joe ran long so we only got to catch the end of the great Bernie Marsden 9:30PM show in the ship’s Stardust Theater. He was putting on a classic blues throwback cover show that included Cream’s “Sleepy Time Time” and a trio of Freddie King tunes – “Goin’ Down,” which was introduced with a the caveat that it probably wasn’t the best song to play on a cruise ship, the instrumental “Hideway” and Freddie King tribute to The Wolf “Living on the Highway.” Bernie wrapped things up for the night with his Whitesnake Hit “Here I Go Again,” which when he sang and played it you can really hear the blues backbone of the song. Although there were a few more shows yet that night it was pretty late for someone who got up at 3AM that morning to catch a flight to Miami. Stay tuned for some more updates as the cruise continues.